The hike starts in Niederthai at the car park "Sennhof". From there, turn right over the wooden bridge in the direction of Höfle and after about 200 meters turn right into the Bergmahderweg. You hike along the broad forest path - Bergmahderweg. The sunny spot near the Hubertuskapelle invites you to linger. 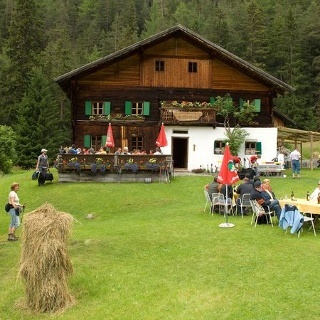 The last part leads into a narrow descending hiking trail which continues over the bridge directly to the Larstigalm. Back you hike on the left side on Grastalweg, past the Grastalfeld on the wide forest road through a fairytale larch- and spruce forest. 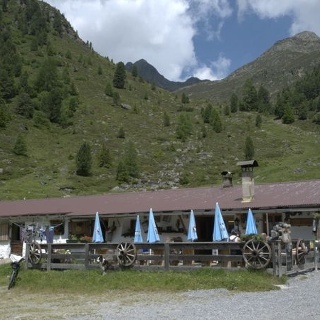 The Hotel Falknerhof is reached via a slightly downhill terrain. There continue to the right and follow the asphalt road back to the car park. Alternatively, you can also turn off at the curve, before going down to the Hotel Falknerhof. A narrow, somewhat steeper trail (shortcut) leads to the starting point, the car park. The hike starts in Niederthai at the car park "Sennhof". From there, turn right over the wooden bridge in the direction of Höfle and after about 200 meters turn right into the Bergmahderweg. You hike along the broad forest path - Bergmahderweg. The sunny spot near the Hubertuskapelle invites you to linger. 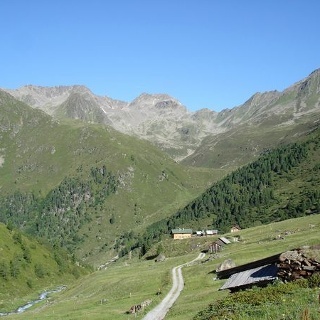 The last part leads into a narrow descending hiking trail which continues over the bridge directly to the Larstigalm. There you can make yourself comfortable on the sun terrace. 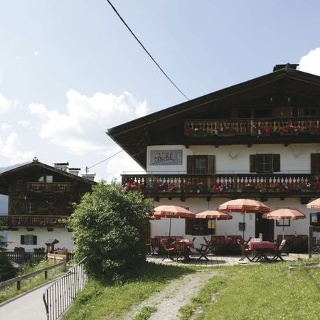 The hospitality of Ludwig Scheiber and his wife as well as the Tyrolean dishes, which are on the menu here, are especially appreciated by the numerous guests. By the way, most of the food is prepared with products from the own establishment. Back you hike on the left side on Grastalweg, past the Grastalfeld on the wide forest road through a fairytale larch- and spruce forest. 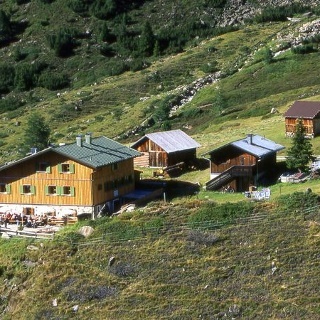 The Hotel Falknerhof is reached via a slightly downhill terrain. There continue to the right and follow the asphalt road back to the car park. Alternatively, you can also turn off at the curve, before going down to the Hotel Falknerhof. A narrow, somewhat steeper trail (shortcut) leads to the starting point, the car park.